John Reid has cast his eye over Kiwi culture from many angles. Aside from writing the definitive book on Pacific Films — for many years one of New Zealand's only filmmaking companies — Reid's own work as director has provided memorable portraits of well-meaning farmers, lecherous city teachers and writer Katherine Mansfield. Reid made his first films while studying social sciences at Canterbury University, before snaring a job as a junior sociology lecturer. The acting roles which turn up occasionally on his screen CV start appearing early. In 1967 he appeared in controversial teleplay A Game for Five Players, based on a case where a gay man was murdered in Christchurch's Hagley Park. In 1970 he acted in early David Stevens comedy Arthur K Frupp (54). In 1972 Reid moved north to Wellington, hoping to get a job in television or film. Soon after he joined John O'Shea's Pacific Films, where Reid would direct everything from educational films, to wallpaper promotions featuring Pat Evison as a bossy mother-in-law. In 1973 he co-starred in Paul Maunder TV drama One of Those People Who Live in the World, as the husband of a woman dealing with mental illness. When director Roger Donaldson was called overseas, Reid minded business at Donaldson's commercials company. As a result, he got the gig to direct a wine commercial which went on to win a Venice Silver Lion for commercials. Commissioned by the Queen Elizabeth II Arts Council to write a report on the state of the independent film industry, Reid made a case for the establishment of a local film commission. By 1978 he was directing his first film, just as the NZ Film Commission was about to launch. Reid had begun acting on Wellington's stages after he first arrived in the city. Arguably his most noteworthy stage role came in 1977, when he played conservative accountant Robert for the debut of Roger Hall classic Middle Age Spread. Reid's familiarity with the project was a vital help when he turned the play into his first feature film as director. Reid worked 15/16 hour days during Middle Age Spread's short, 22 day shoot. The crew were made up of many future industry legends. Reid described this tale of an adulterous deputy headmaster as "a comedy of bad manners ... a modest film", yet one that had the power to move audiences as well as make them laugh. The Listener called the results "engrossing", while Variety praised Reid for creating "a film that is not just a pale adaptation of the play. ... [Reid] has a keen eye for the visual gag." Academic Bruce Babington later called the movie "a rare example of sustained comic satiric realism in the New Zealand cinema". With his second feature Carry Me Back (1982), Reid reteamed with scriptwriter Keith Aberdein and actors Grant Tilly and Dorothy McKegg. The shaggy dog tale follows the misadventures of two farmers after their father unexpectedly expires during a trip to the capital. Tilly and Goodbye Pork Pie's Kelly Johnson play the farmers trying to sneak their father's body back home. Australian critic David Stratton praised the cast, adding "Good comedy is rare these days, and so John Reid's appearance on the film scene is more than welcome." Bruce Babington has called Carry Me Back "Reid's most significant film", arguing that he both celebrates and criticises older traditions of New Zealand culture. From the late 1970s, Reid got busy directing for others, while trying to get his own projects off the ground. Prior to Middle Age Spread he had begun writing a documentary on the history of New Zealand theatre, which morphed into colourful Sam Neill quasi-documentary Red Mole on the Road. He also made a documentary on Nelson painter Jane Evans, and directed many episodes of soap Close to Home. Hometown Wellington has featured in much of his work, including cabbie drama Inside Straight (Reid did time as a taxi driver, after making Middle Aged Spread), Open House and 1983 documentary Hometown Boomtown. As Reid details in his book about Pacific Films, 1984 proved to be a very strange year. In June he took an unexpected phone call from France. Pacific boss John O'Shea wondered if he was available. Within days Reid was in Paris to take over direction of feature Leave All Fair, two weeks before filming was due to start. After rushed rewrites around the script table, Reid and O'Shea increased the relationship elements of the plotline, which involved Brit John Middleton Murry looking back on his time with legendary writer Katherine Mansfield. Stars John Gielgud and Jane Birkin (Birkin playing Mansfield, plus a modern-day character) won minor foreign festival awards for their work, as did the film itself (in Czechoslovakia). Gielgud sounded happy — he wondered if Reid might be interested in joining him to make a movie version of The Tempest. Critics were more divided, although Variety weighed in that Leave All Fair was a class act, "as gentle and nuanced as Mansfield's own writings". 1994's The Last Tattoo (original title Taking Liberties) mixed American actors (Rod Steiger, Tony Goldwyn) and Kiwis (Kerry Fox, John Bach). The convoluted tale of murder and prostitution involved American servicemen downunder during WWll. Bach and Peter Hambleton won NZ Film and TV awards for their work, as did cinematographer John Blick. After Tattoo, Reid spent the rest of the 90s working in television and commercials. 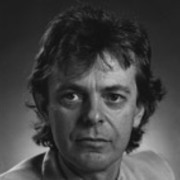 When Canadian writer/producer Raymond Thompson set up production company Cloud 9 in New Zealand in the mid 90s, Reid was tapped to helm episodes of a run of kidult series, including A Twist in the Tale and multiple episodes of international hit The Tribe. Reid also directed for Wellington's Gibson Group: 12 episodes of hit show The Strip. and two of detective series Duggan. Reid went on to become head tutor at Wellington's NZ Film and Television School, where among other things he produced the school's graduation films. He also spent time as president of the Screen Directors Guild. In 2018 Victoria University Press published Reid's long in gestation Whatever It Takes - Pacific Films and John O'Shea 1948 - 2000. Reviewing the book in NZTecho, ex Pacific staffer Waka Attewell praised Reid's wealth of new detail, arguing he'd "done a fantastic job of researching all the moving parts and making the read a rollicking yarn". Reid has also written (with Ruth Jeffrey) a book on Circa Theatre's first 20 years. Reid's movies fill a chapter in book New Zealand Filmmakers (2007). Middle Age Spread features in Nicholas Reid's A Decade of New Zealand Film (1986).